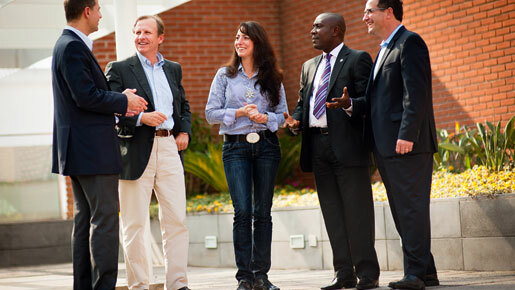 The Global CEO Programme: A Transformational Journey (GCP), features modules in Sao Paulo, Philadelphia and Shanghai. The programme helps top executives zero-in on new opportunities for achieving profitable growth. The programme’s first module was held in Sao Paolo between 4-9 November, 2011. The following module takes place on Wharton’s campus in Philadelphia between 10-15 March, 2012, and the final one at CEIBS’ campus in Shanghai between 2-7 June, 2012. The Global CEO is an action-oriented programme aimed at providing participants with the chance to step back from their daily responsibilities and expand their knowledge and awareness of global business dynamics. During the GCP, participants gain crucial knowledge that they can apply immediately, while discovering the latest models and frameworks for understanding business problems. A cross-programme project allows participants to focus on the specific challenges which are relevant to their own organisations. Those who have embarked on a cross-programme project are quick to merit its credentials and the scope of candidates is vast, with businesses all over the world recognising the potential the initiatives have to offer. One such candidate is Carmen Tanasie, CEO of Omnicom Media Group, a leading global advertising and marketing communications services company, who commented: “There is a huge value with the cross-programme project, which we can’t even quantify. The feedback sessions are powerful in many ways.” The executive programmes appeal to the highest levels of the business community, with institutions as esteemed as the ING Group taking note. “This is the ideal programme for people looking to broaden their business outlook and deepen their understanding of global trends and market behaviour. Learning and sharing experiences with a culturally diverse group of peers increased the value of the programme exponentially for me,” said Hans van der Noordaa, CEO of Benelux at ING Bank. With its high-calibre faculty and global perspective, the GCP is a learning experience that will help executives take their companies to the next level in an increasingly competetitive series of markets.